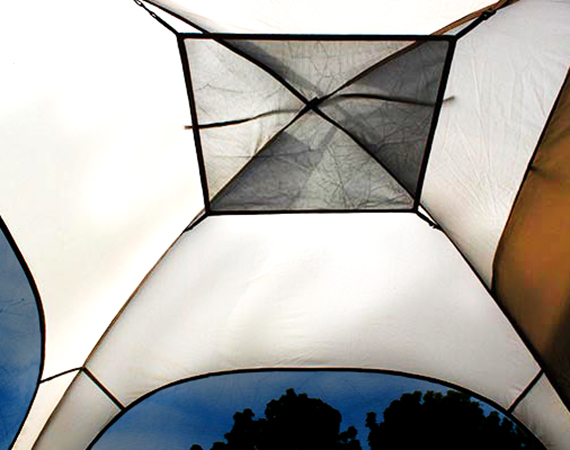 Comfortable, convenient and perfect for camping, some say truck tents are the best thing since sliced bread. Whether you enjoy a giant truck tent that fits the whole family or prefer a smaller size tent so you can cozy up with your loved one, you know there are still a few things that could make your truck tent better – add-ons! And, that’s where we come in. We’ve compiled a list of three accessories that are sure to help you enjoy your truck tent to the fullest. In this day and age you can easily use your mobile device as a flashlight in emergency situations or when you realize you didn’t bring any lights for your camping trip, but even cellphone batteries die – avoid the burden on your hand and precious battery life by providing your truck bed with lights that will last. Bright enough to keep you entertained with your late-night reading, LED Lights like the ones in the Sylvania ZEVO Interior LED Strip Kit illuminate the dark spaces inside your vehicle with your favorite color and mode. 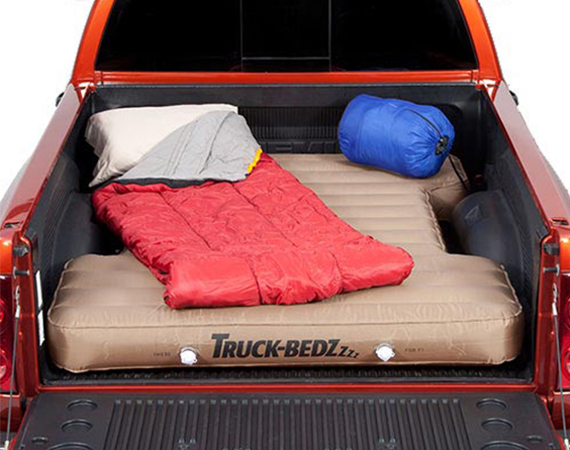 Nothing makes your truck tent feel more like home than a comfortable mattress. With versatile airbeds such as the ProZ RoadTripper Truck Bed Air Mattress and the AirBedz Truck Bed Air Mattress you can find a mattress that fits compact, medium and full-size trucks. If you change vehicles frequently and a universal fit is more your style, you also have options. The Napier Sportz Truck Bed Air Mattress offers a 75”x47”x5” mattress, while the Truck Bedz Air Mattress gives you three different styles to choose from to fit your truck or SUV. Traveling with a big group can be challenging, but with a truck tent extension you’ll have one less problem. Convert your two-sleeper into a full house with a Napier Sportz Link Truck Tent Extension – or if you own a ProZ Truck Tent, the ProZ Deluxe Truck Tent Extension is perfect for you. 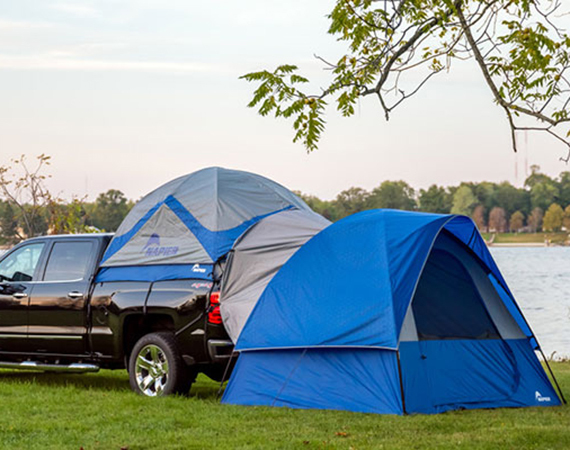 Whether you need a four-sleeper or just extra storage for your camping gear, these truck tent extensions are durable enough to fend off even the most extreme weather conditions. Found your favorite truck tent add-on yet? Tell us which of these you’ll be taking on your next road trip by leaving a comment below!